John Zeuli, PharmD, BCPS-AQ ID is an infectious diseases pharmacist at Mayo Clinic-Rochester. 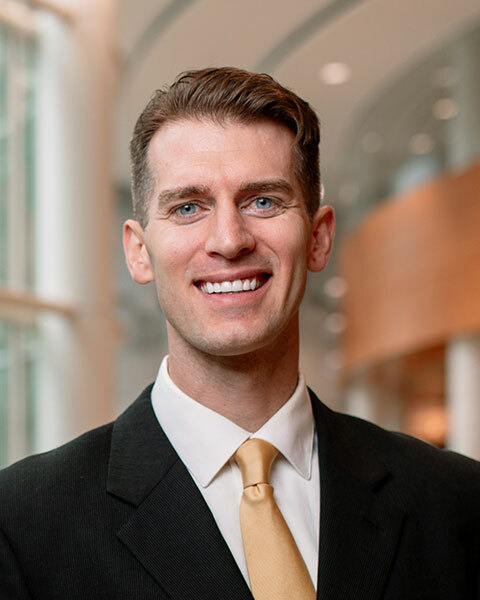 His primary role is providing medication therapy management services to the ambulatory population in Mayo Clinic’s infectious diseases clinic, with a focus on HIV and mycobacterial infections. Dr. Zeuli also serves as the infectious diseases consultant pharmacist for the Mayo Clinic Center for Tuberculosis, providing pharmacy oversight and consultation services for the center, and he is part of the Outpatient Antimicrobial Therapy (OPAT) pharmacist team at Mayo Clinic. Dr. Zeuli completed his PGY1 pharmacotherapy residency at Mayo Clinic in 2008, and his PGY2 infectious diseases specialty pharmacy practice residency at Mayo Clinic in 2009. He worked at Mayo Clinic Hospital as a clinical pharmacist in internal medicine from 2009-2013 before taking his current position in 2013. His interests include applied pharmacogenomics, pharmacokinetics, therapeutic drug monitoring, pharmacotherapy of tuberculosis/mycobacterial infection, and HIV antiretroviral therapy. Bio: John Zeuli, PharmD, BCPS-AQ ID is an infectious diseases pharmacist at Mayo Clinic-Rochester. His primary role is providing medication therapy management services to the ambulatory population in Mayo Clinic’s infectious diseases clinic, with a focus on HIV and mycobacterial infections. Dr. Zeuli also serves as the infectious diseases consultant pharmacist for the Mayo Clinic Center for Tuberculosis, providing pharmacy oversight and consultation services for the center, and he is part of the Outpatient Antimicrobial Therapy (OPAT) pharmacist team at Mayo Clinic. Dr. Zeuli completed his PGY1 pharmacotherapy residency at Mayo Clinic in 2008, and his PGY2 infectious diseases specialty pharmacy practice residency at Mayo Clinic in 2009. He worked at Mayo Clinic Hospital as a clinical pharmacist in internal medicine from 2009-2013 before taking his current position in 2013. His interests include applied pharmacogenomics, pharmacokinetics, therapeutic drug monitoring, pharmacotherapy of tuberculosis/mycobacterial infection, and HIV antiretroviral therapy.